Brookbanks is pleased to announce the launch of our affordable housing group! Delivery of new homes within the residential sector is changing and our services within this ever-changing landscape continues to evolve. In the UK, there is shortage of land for building residential space while increasing urbanisation and population upsurge means the demand for property in UK towns and cities is paramount. Research commissioned by the National Housing Federation and Crisis from Heriot-Watt University has identified a need for 340,000 homes each year in England up until 2031, of which 145,000 “must be affordable homes”. At over 40% of the total new homes demand, the delivery of affordable housing is a sizable challenge to overcome when coupled with public sector funding cuts. The need is further amplified by an ongoing loss of available affordable homes, such as through Right to Buy, where the Chartered Institute of Housing predicts a reduction of over 230,000 socially rented properties by 2020. While the Government has introduced positive changes to planning process to assist in new homes delivery, post outline consent processes and implementation capacity remain a problem. Since 2010, over 40% of Local Authorities are unable to deliver their five-year land supply targets for social housing. A devolution of power could very well allow the new Authorities to cross-manage boroughs and districts under one cohesive umbrella of delivery and focus. With this in mind, it is exciting to observe the potential success the West Midlands Combined Authority (WMCA) will have as it works towards delivering 200,000 new homes within its region by 2031. Indeed, it could be seen as preferential for Government to allocate some of the £44 billion housing and infrastructure budget to the WMCA in the knowledge that cross-authority collaboration as it the centre of this initiative. A recent Department for Communities and Local Government document identifies that delivery can be improved by diversifying the market to support direct delivery by affordable homes providers, local authorities and smaller house building organisations. The Government has backed this up with financial payments to the affordable house building industry to support this process. Joint ventures form a crucial part of this support. 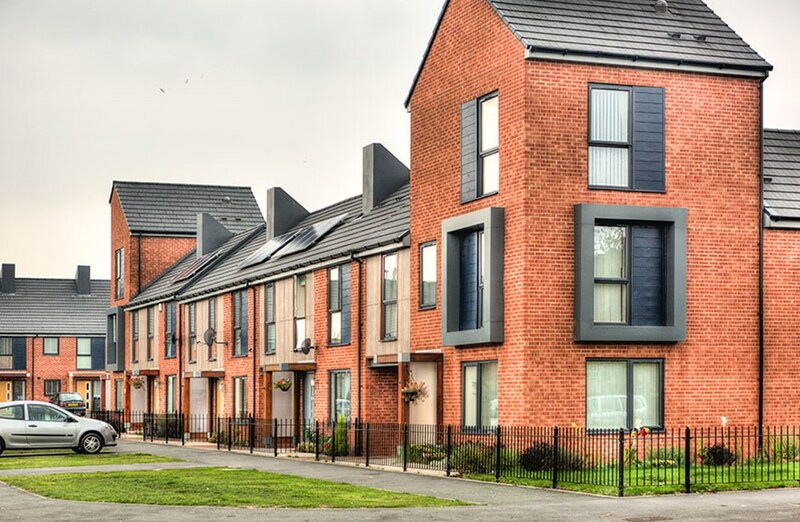 A survey found that 84% of UK housebuilders would consider a joint venture with Housing Associations for the delivery of mixed-use developments. Further, Local Authority joint ventures with Housing Associations are beginning to emerge across the country. Clearly the appetite for collaboration is here. The time is now for both Government, at national and local levels and the private housing sector to rally around Housing Associations to deliver the housing this country so desperately needs, and historically has failed to fully realise. Brookbanks’ experience of both the public and private sector residential developments allows us to provide comprehensive support services to traditional affordable housing organisations that are now expanding into mixed tenure direct delivery. Our work starts from site selection/acquisition and development planning, through to scheme funding, viability, implementation management and where appropriate disposal. If you would like more details, then please contact Lee Witts or Paul Boileau on 0203 958 5400. © 2019 Brookbanks All Rights Reserved.